Q & A: What Is The Meaning of A Dying Patient’s Actions? 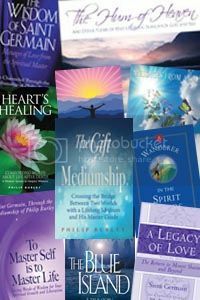 Because I have published a number of books within my field of spiritual endeavor I want to share with readers excerpts from some of them. The first is a question and answer taken from Heart’s Healing, Comforting Words about Life after Death, A Medium Speaks to Hospice Workers. Question: I have been around dying people who seem to communicate with unseen others, sometimes nodding, smiling, or even speaking to them. Can you explain what is happening? A dying person is more out of the body than in. If you could see such a person clairvoyantly, you would probably see the spirit hovering above the physical body, or maybe off to the side, growing less and less cognizant of the physical world and more aware of the spiritual world. By the creator’s very invention, we begin to put this world behind us as we move into the spirit world. How many of you have had patients or relatives who said they saw people as they were about to die? [Many positive responses.] Some scientists say this is caused by certain changes in dying brain cells. When oxygen is reduced, some say, dying persons get more carbon dioxide, causing them to hallucinate. Perhaps changes in the brain of a dying person enhance the spiritual senses! Whatever the case, as the dying move away from their physical bodies into the spiritual world, they can see and hear things that are invisible and inaudible to us. I’m sure you’ve noticed that breathing in people about to pass over grows very shallow. As they begin to separate from the physical body, they are beginning to breathe the atmosphere of the spiritual world they are preparing to enter. The process is beautiful when you are aware of everything that is happening. Birth into this world is not without effort and struggle, as we know, yet we regard it a precious miracle. Our birth into the spirit world is equally precious, but we haven’t valued it in the same way because we haven’t understood what is going on. If you understand the process of dying in the larger context of the spirit world, you are better able to assist patients to make a positive transition. If people knew the reality of spirit world and the process of leaving the physical body, they could die without fear. They would realize they are about to gather again with those they loved on earth and meet ancestors they never knew. What a great reunion! I’ve visited the spirit world in dreams or while out of my body, and I’ve seen the environment and spoken with the people there. Because of these experiences and the understanding I have, I’m not afraid of leaving my body and going to that world when it’s time for me to do that. When we pass into the spirit world, not only do we meet loved ones waiting on the other side, we have new opportunities to learn and grow. If we have been ill, we gradually gain a wonderful sense of well-being. We have wholesome spiritual bodies corresponding exactly to our physical bodies, except that they are completely well, and we are in our prime. Beauty, by the way, is determined in the spirit world by the quality of love we bring into that sphere, not according to the standards we have in this life. In the spirit world, we generally have heightened awareness, greater creativity, refined appreciation of beauty, and a deeper understanding of life. When we play the piano on earth, for example, our eye must see a note and send its image to the brain before the impulse comes back to our finger to press a piano key. In the world of spirit, we are our thoughts, so when we see a note, we play it. There is no time between seeing and doing. There is no earthly time at all in the world of spirit. Comment: Sometimes a dying person’s face is so radiant that I know my patient has made contact with the other side. When I see this, I say something to encourage the person to keep going in that direction. It only takes a moment to have an important conversation and allow my patient to share what is happening. Philip: You’re showing much wisdom and common sense. Have any of you seen your patients reaching up toward someone when they are near the moment of passing or heard them say something like, “My mother is here”? [Many positive responses.] Your work is beautiful, and you must enjoy it thoroughly! Thank you Marti for writing. You are fortunate to have the opportunity to work with those preparing to pass or are passing into life beyond. The last breath is a simple act but their leaving their body for the last time and forever is a profound, eternal reality. Thank you for your heart-felt sharing. It means a lot. What a beautiful sharing! I am glad to be back reading and posting in your wonderful blog. I intuitively know everything you have written to be true especially after experiencing my mother’s passing. By the time she was ready to leave the body I knew my grandfather and grandmother would visit her because she would call out their names. You mentioned something beautiful that has resonated with the core of my being; "being born in spirit"! How wonderful and beautiful is "being born in spirit" instead of calling the process of leaving the body “dying”. It is true that those who help our brothers and sisters during their transition here on Earth are loving souls. It's a wonderful thing when they can see the process clairvoyantly but for those that can't having this insight makes their work even more meaningful. As always Philip, thank you for your love and dedication to spreading the truth about the spirit world on Earth. As always John, thank you for kindly writing. Your input is very meaningful. Leave a reply on "Q & A: What Is The Meaning of A Dying Patient’s Actions?"